We want to hear about your aoudad hunt! Have you hunted aoudad (Barbary sheep) in the past? We’d love to hear about your hunt! 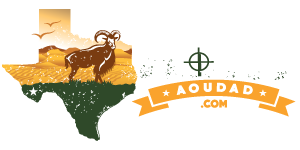 Whether you hunted with us, by yourself or with someone else, we’d love to hear all about your aoudad hunting experience! Use the form to the right to share the details of your hunt with us. Give us as much detail as possible and if selected we will publish your aoudad hunting story, right here on HuntAoudad.com! What time of year was the hunt? Were you hunting alone or with a friend? How long of a shot? Don’t forget to submit photos of the hunt, and your aoudad taxidermy too if you had a mount done! By submitting your story, you are giving HuntAoudad.com permission to reprint and use your submission on our website.